A date of June 23 has been posted at Aberdeenshire’s Huntly registration office. 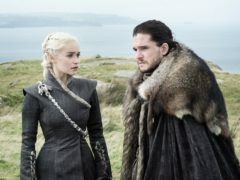 The couple – who met while filming the fantasy saga in 2012 – played on-screen lovers Jon Snow and Ygritte and announced their engagement in The Times newspaper last year. Two years after they met, Leslie, 31, left the show while Harington, also 31, has become one of Game Of Thrones’ most popular stars and has appeared in every episode. Speaking to L’Uomo Vogue, Harington told how it was “easy” to fall in love with Leslie and his best memory of the show was meeting his future partner while filming in Iceland in 2012. He said: “Because the country is beautiful, because the Northern Lights are magical, and because it was there that I fell in love. Leslie previously told how she had been too busy to plan the wedding. The Good Fight actress said she was “trying to fit in my wedding” amid her screen roles.